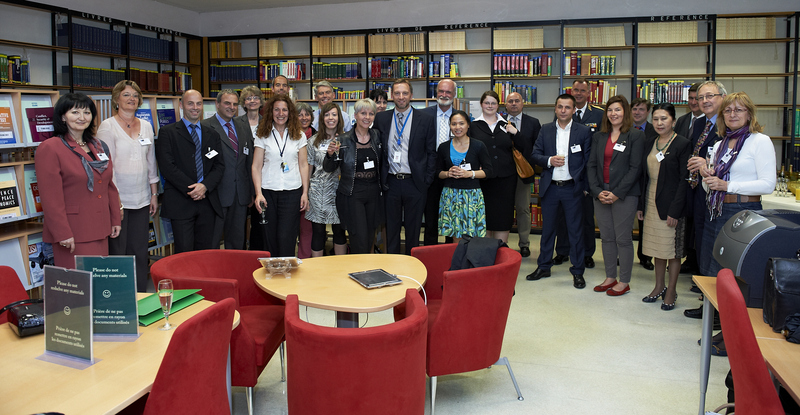 The aim of the NATO depository libraries network is to provide the public with access to NATO documents and publications, allowing for a better understanding of the Alliance and its objectives. A new NATO Depository Library is born! 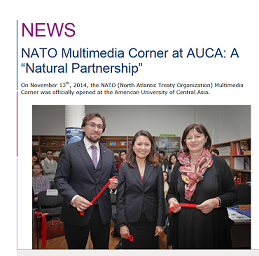 On 13 November 2014, the NATO Multimedia Corner was officially opened at the Library of the American University of Central Asia (AUCA) in Bishkek, Kyrgyz Republic. As 2014 marks the 20th anniversary of the Partnership for Peace Programme (PFP), NATO wanted to pay tribute to those who, on a daily basis, show their commitment to NATO by offering a very valuable service, the management of the NATO Depository Libraries.